DO Something Delicious, the online food and drink marketplace, is launching a new twitter chat hour, #WhiskyHour to celebrate Whisky Month. Says a spokesperson: “Twitter hours are a way for like-minded people to connect on twitter to chat about topics of shared interest at an agreed time. World Gin Day, meanwhile, takes place on 13th June and so a #GinHour chat hour has also been scheduled for 17th June. Liz Ramsay, of Do Something Delicious, said: “We love talking about delicious things almost as much as we love consuming them. “A month or two ago during a twitter discussion about Scotland’s Year of Food and Drink we found ourselves on a gin-related tangent alongside some gin distilleries and other foodies. To take part, twitter users type #WhiskyHour into the search box at the designated time to pull up some initial results to browse and then join in the conversation, using the #WhiskyHour hashtag to enable their posts to be seen by other people taking part. By refreshing the search, you can see who else is taking part, strike up conversations, reply to something you find interesting. You can also take part by answering prompt questions posed by @Whisky_Hour. 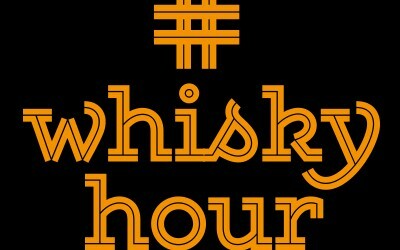 #WhiskyHour will take place on the last Wednesday of each month at 8pm. #GinHour will take place on the third Wednesday of each month at 9pm. And check out too twitter.com/allDrinkPR.